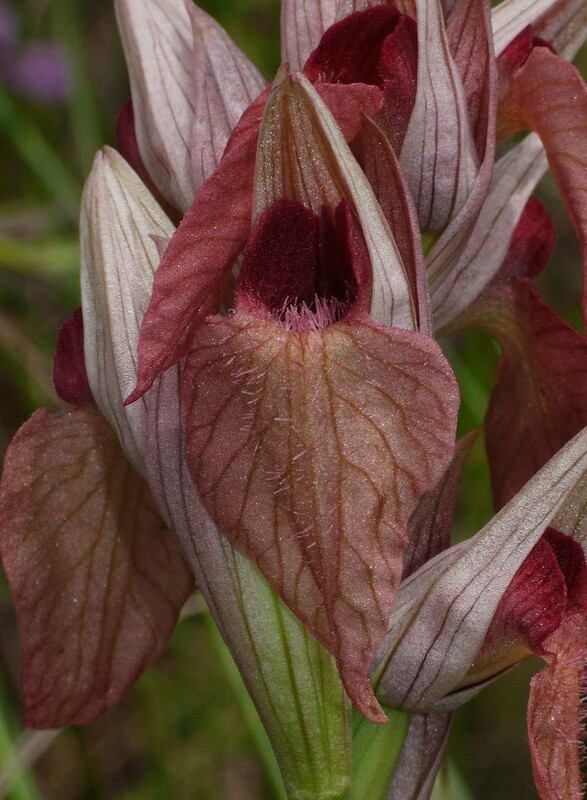 S. cordigera ssp cordigera was first described in 1763 from the Cadiz region of Spain and its name refers to the conspicuous heart-shaped epichile which confers on this Serapias such an imposing and handsome appearance. 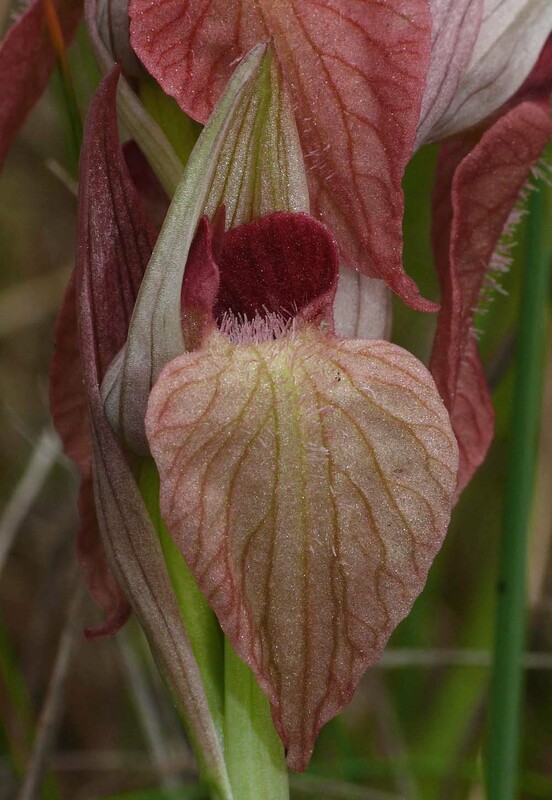 Identification of this species is relatively straightforward because despite the orchids overall resemblance to both S. orientalis and S. carica with which its range overlaps, the more imposing and distinctively shaped epichile is diagnostic. 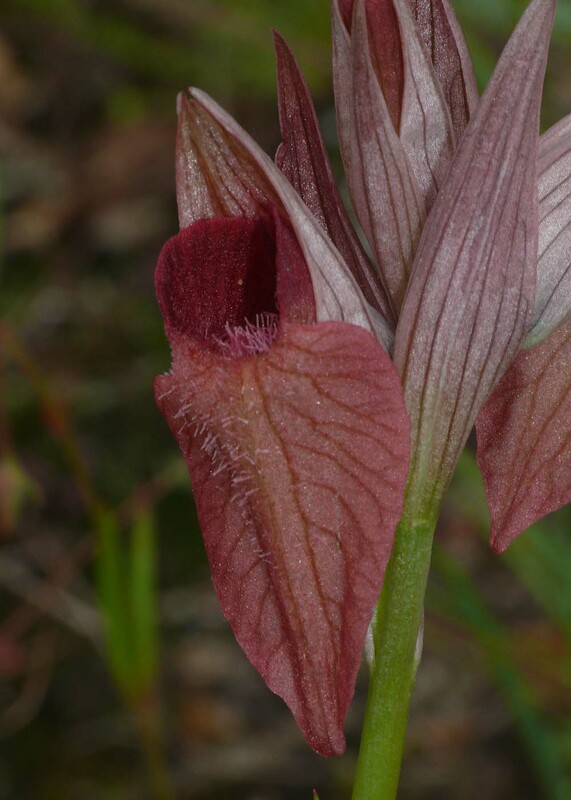 Other features which serve to assist with differentiation are the dark, purplish brown colouration and the dense, crowded appearance of the inflorescence which tops the longish stem. 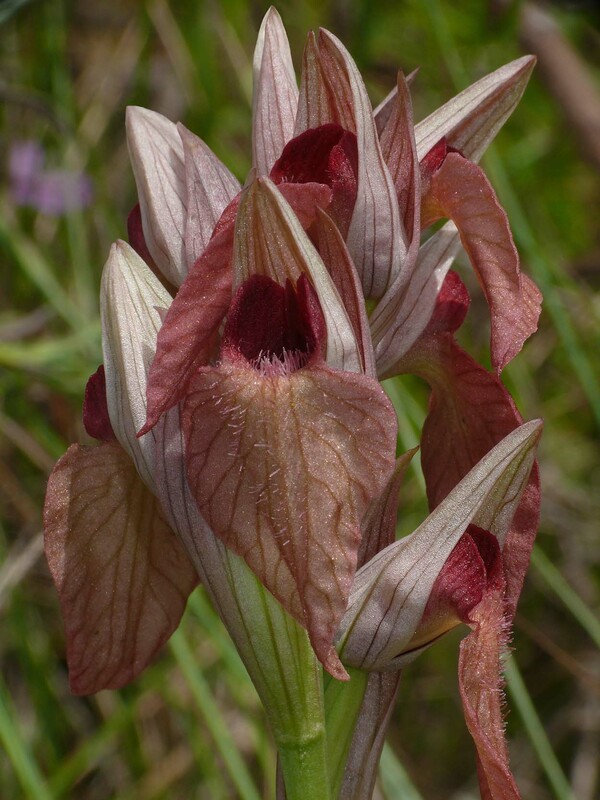 Problems with identification do however occur in Portugal where a new subspecies has recently been described by Venhuis, Venhuis and Kreutz and named O. cordigera ssp gentilii. 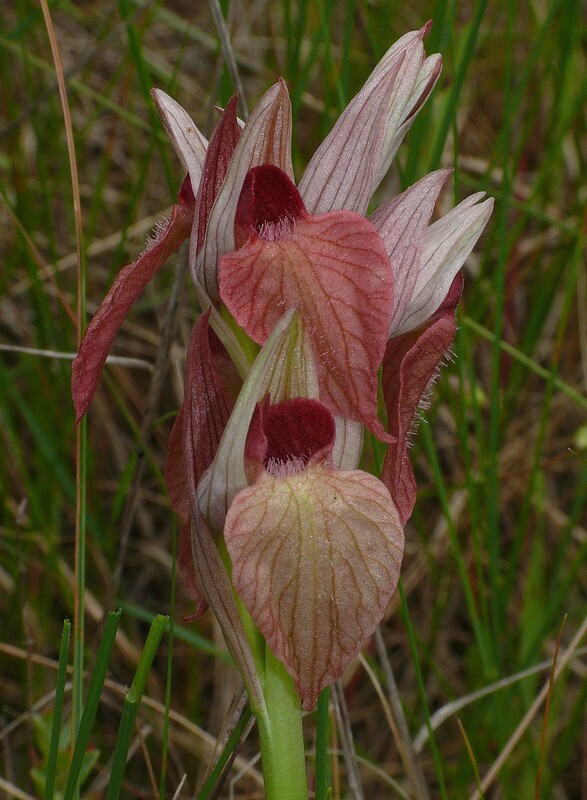 This new taxon does not differ very significantly from subspecies cordigera in floral detail, but is usually a paler colour and sometimes of a greenish shade that can be confused with the rare S. perez-chiscanoi, although the range of this new subspecies makes it unlikely (not impossible) that the two plants will occur in close proximity. 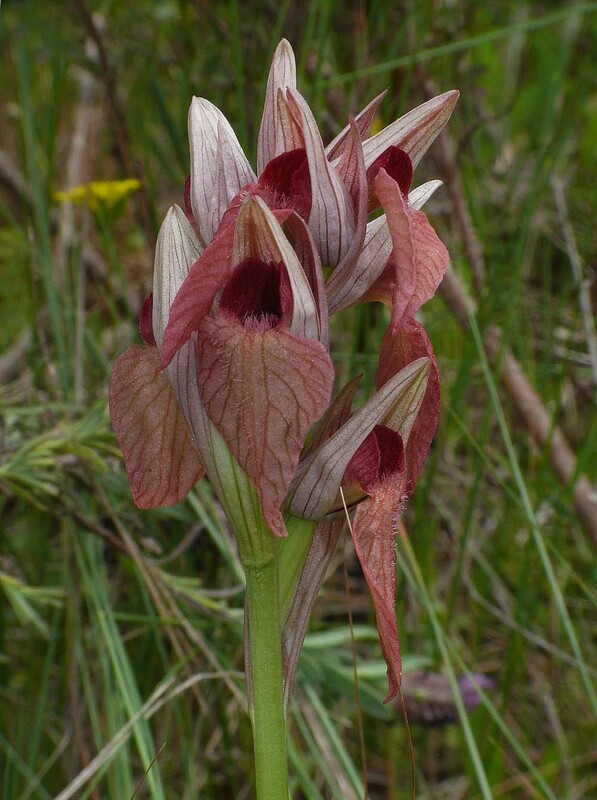 O. cordigera ssp gentilii is found primarily in the coastal belt of the Algarve but exists in a few colonies further north where it favours damp, neutral grassland similar to that found in the Extremadura. 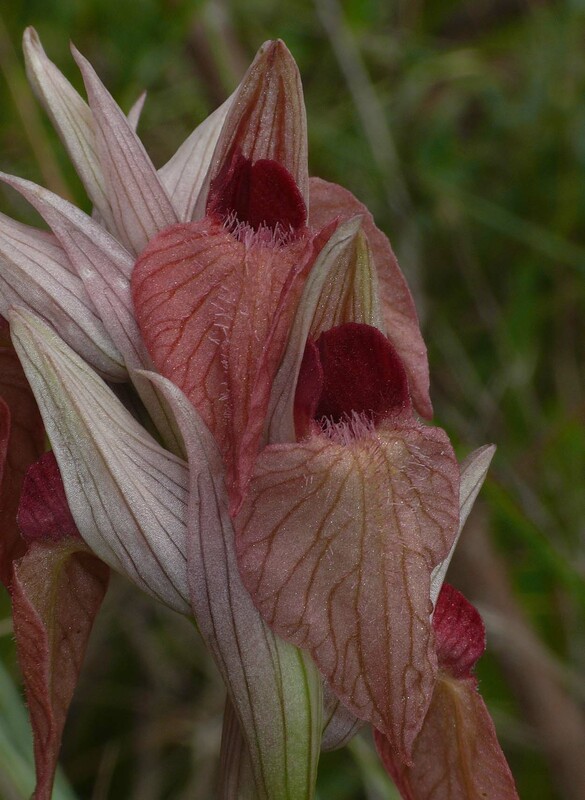 The pictures come from a colony near Vila do Bispo in the Algarve and date from mid April.